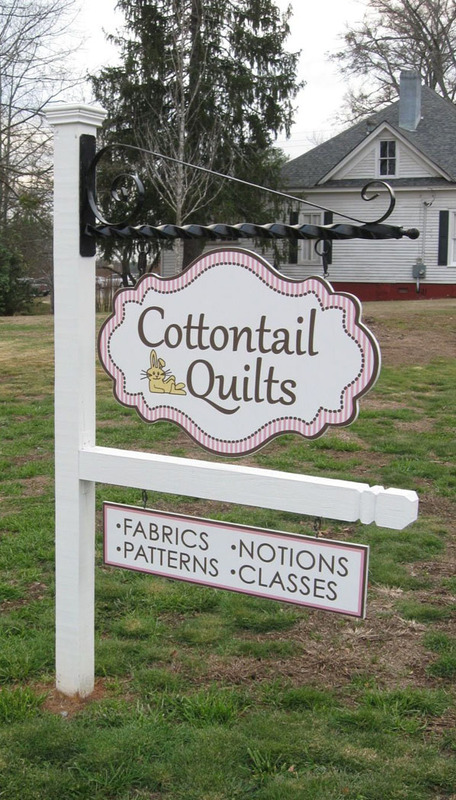 In a quaint part of Kennesaw, Georgia, where century-old houses are being transformed into small businesses through a community revitalization effort, is Cottontail Quilts. The shop's owner, Robin Jones, knew that this 112-year-old house was a perfect home for a quilt shop, and when you step inside, you'll know she was right. 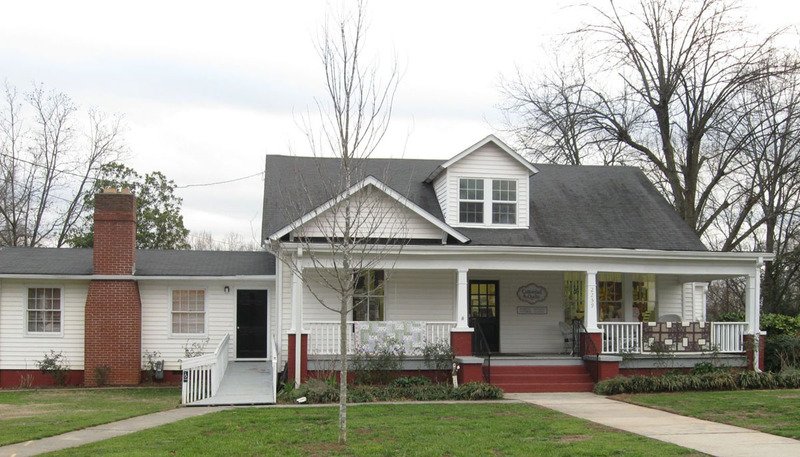 Front porch at Cottontail Quilts quilt shop, Kennesaw, Georgia. As you approach the front door, you can peer through the three front windows (those long, southern plantation-type windows that almost go to the floor) to see the colorful quilts, fabrics, notions and assorted accoutrements—all beckoning you to step inside. 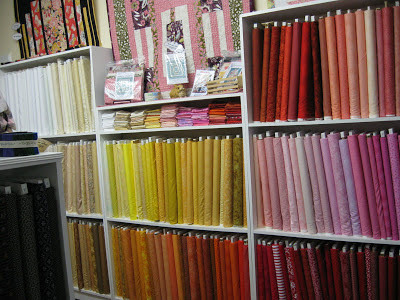 Fabrics: whites and light neutrals, yellows merging into reds. 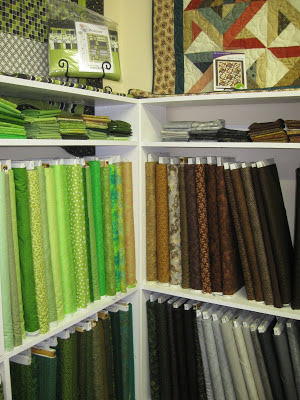 Fabrics: greens, browns, light and dark grays. 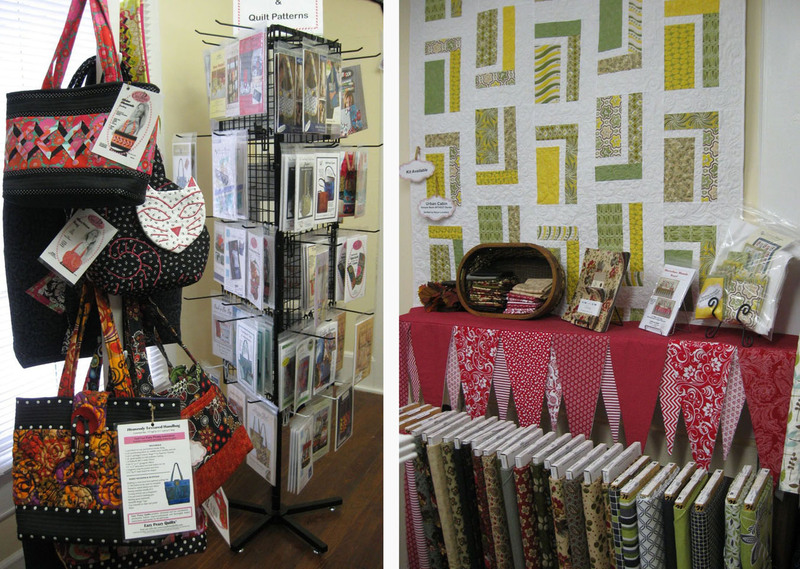 Dots, brights, florals and fun prints. 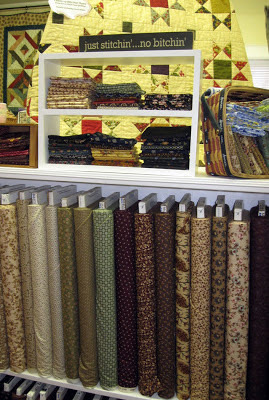 or by purpose, such as the 108" wide quilt backings. 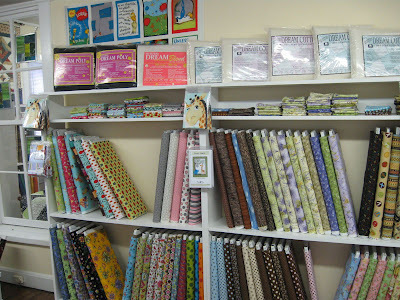 A shelf of wide backings. A wall of books—providing inspiration and instruction for any kind of project—is displayed above a wonderful selection of black/white fabrics. 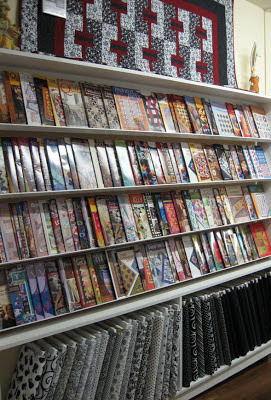 Books and a selection of black/white fabrics. 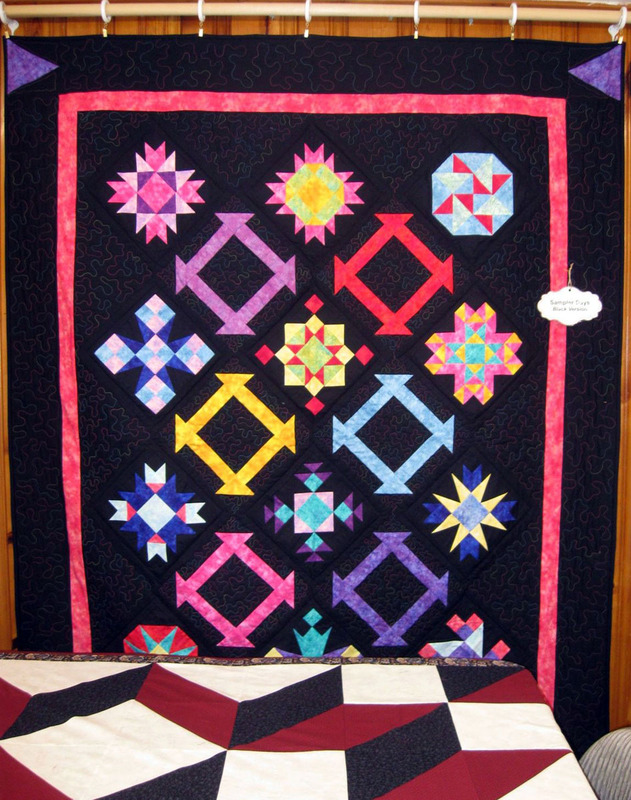 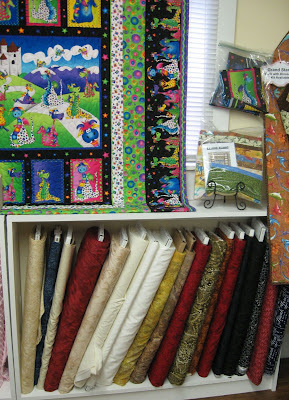 Robin had been designing quilt patterns under the name, Cottontail Quilts, for a few years prior to opening her shop of the same name almost a year ago. 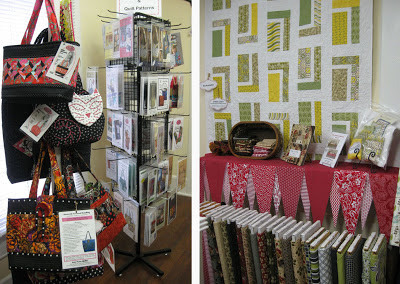 The black/white/red quilt above the books is called Square Daze, a pattern from the Cottontail Quilts pattern collection. 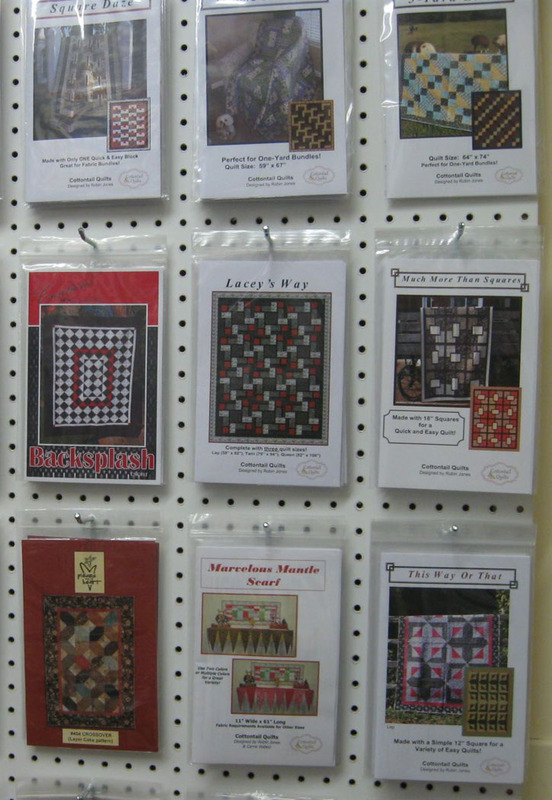 A selection of Cottontail Quilts patterns among others. 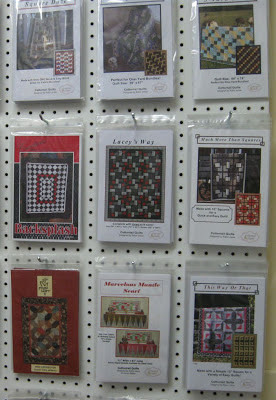 The shop is well stocked with Robin's patterns as well as those from other favorite pattern designers. 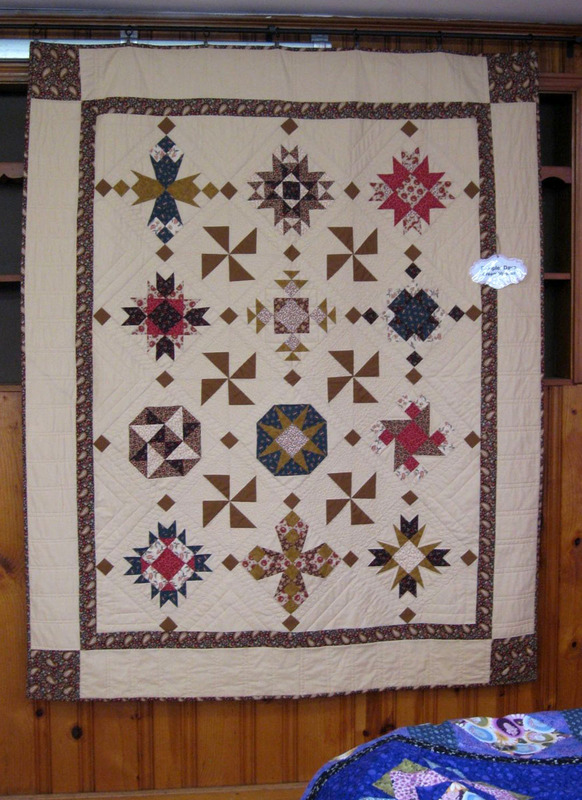 called Marvelous Mantel Scarf, a Cottontail Quilts pattern. 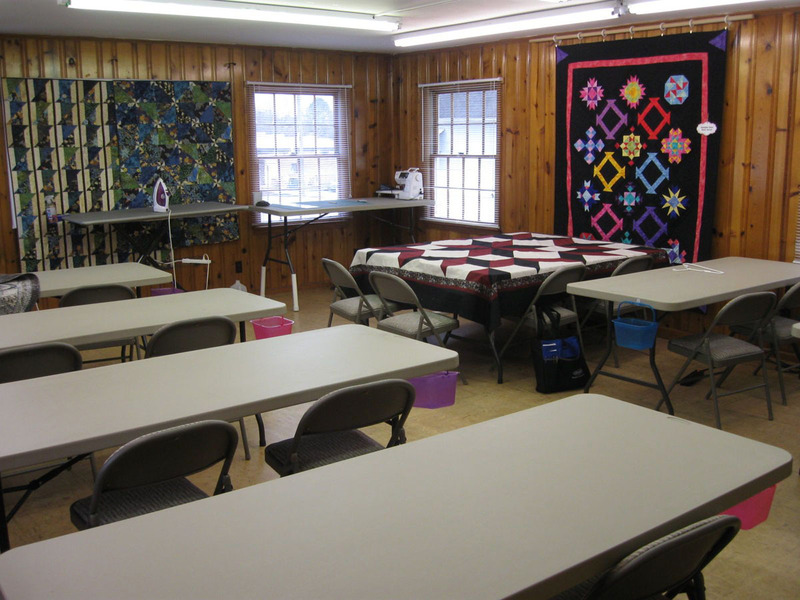 A large, spacious and well-lit classroom extends from the side of the house. 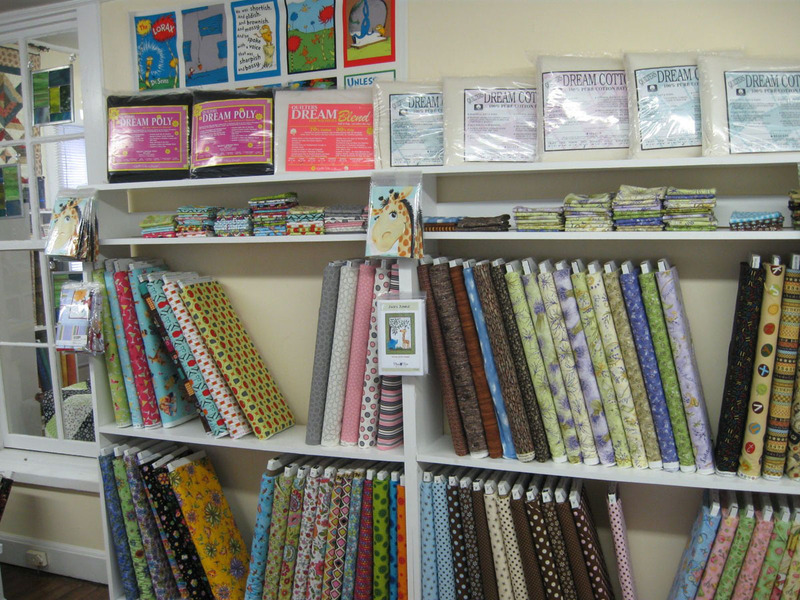 There is a separate entry to the classroom with a ramp for easy accessibility—and for rolling those sewing machines into the classroom. The large classroom at Cottontail Quilts. 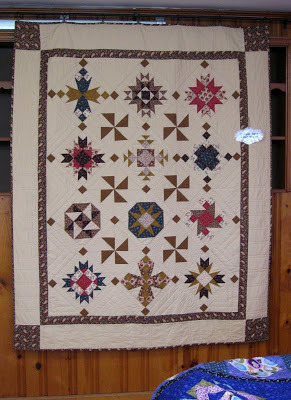 Saturday Sampler using Splash blenders. 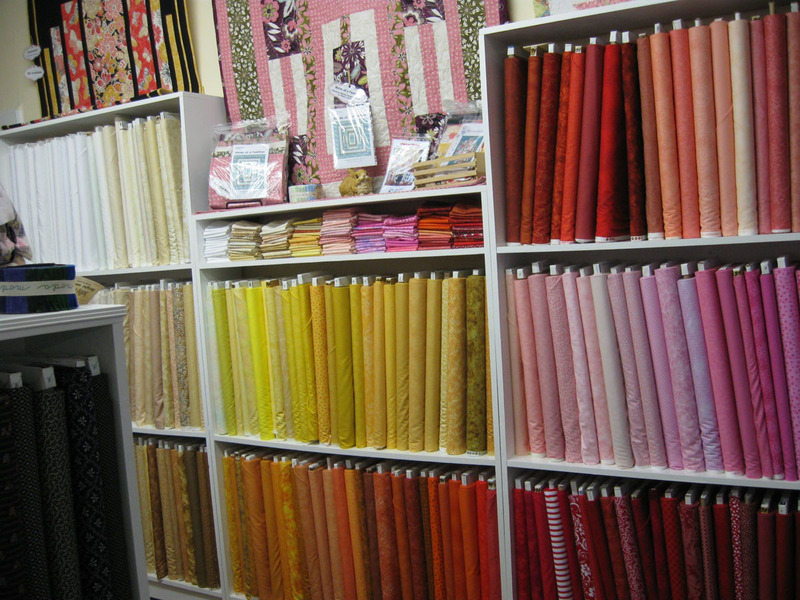 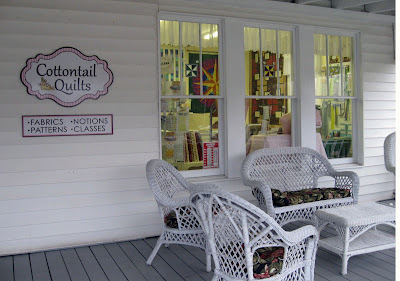 So, if you are driving between Chattanooga, TN and Atlanta, GA, consider a short hop over for a visit to Cottontail Quilts. 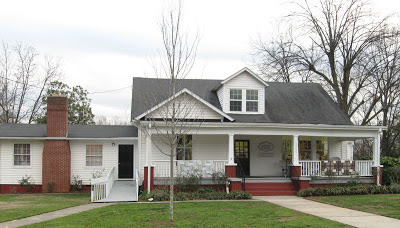 The owner and staff are warm and welcoming and ready to help. You'll see the sign with the bunny on the front lawn.